WELCOME TO THE INAUGURAL INDYCAR CLASSIC! Thank you for joining INDYCAR and Circuit of The Americas as we write the first chapter in a brand new racing legend! 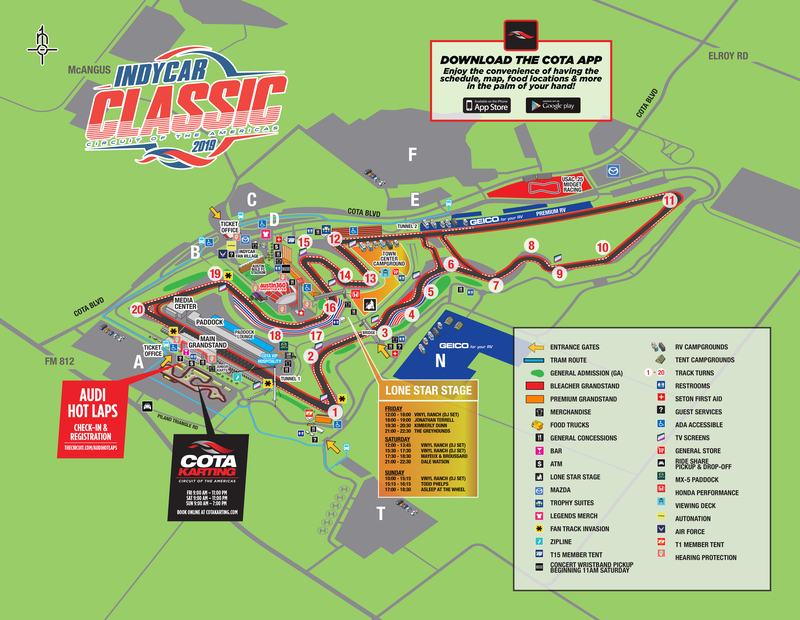 Below you will find everything you need to make the most of the IndyCar Classic, from parking information to entertainment schedules and everything in between. Please note: this page will continue to be updated throughout the week and weekend with most recent and relevant information. Get the most out of your INDYCAR experience with the latest update of the COTA App. 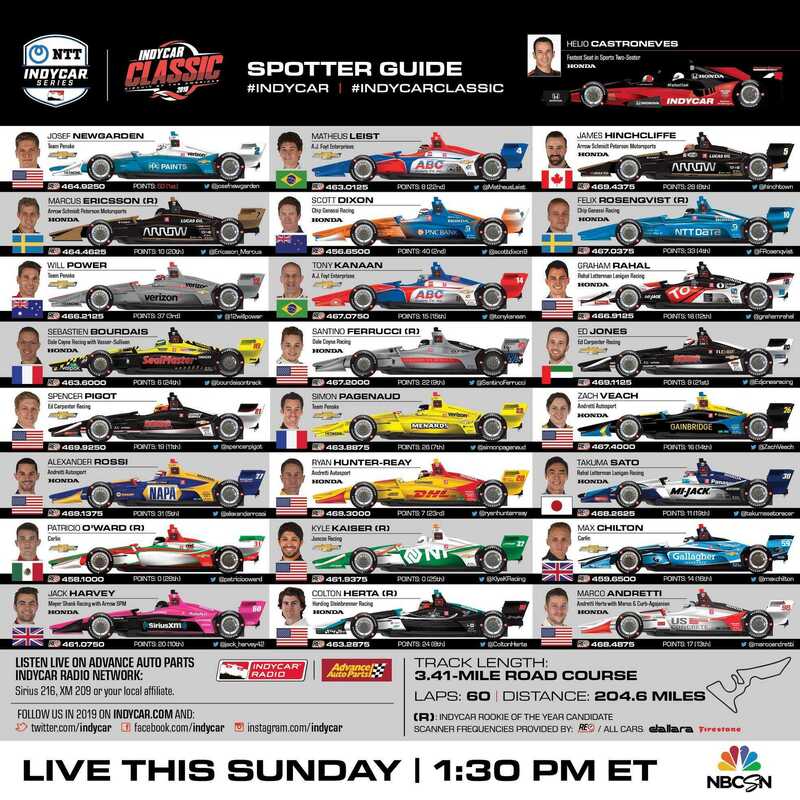 With the race schedule, GPS map, food options, entertainment locations, chances to win prizes, unique photo frames and more, it's your easy reference guide to the IndyCar Classic in the palm of your hand. The COTA App will continue to be updated leading up to the Classic. Update the app under settings (the gear in the upper right corner on the home screen) on Friday, March 22nd to ensure you have the most up-to-date information. Tickets are available at circuitoftheamericas.com, via phone at 512-655-6300, or at the COTA box offices. Keep your ticket on you at all times. Exit and re-entry is permitted with your original ticket. All tickets must be scanned upon exit and re-entry, and all guests will be subject to security screening upon re-entry. If you bring un-ticketed friends with you, that's okay! Tickets will be available for sale at the Grand Plaza and Main Grandstand Box Offices each day of the event. If you chose eTickets when you purchased your IndyCar Classic admission and you need assistance accessing those tickets, please review these step-by-step instructions. Starting Monday, March 18, the COTA Box Office(s) will be open for guests to visit and purchase tickets or pick up orders placed at will call. Please head to the parking lot designated by your pre-purchased parking pass. We recommend using the Waze App to easily find the best route to a particular parking lot. Open the Waze App and search for the lot you're headed to. If you chose eTickets as the delivery method when you purchased your INDYCAR Classic parking and you need assistance accessing those tickets to display on your mobile device at the entrance to the parking lot, please review these step-by-step instructions. If you have not yet purchased parking, you can get yours online to save time and money when you arrive at COTA. Advance parking in Lots F & T is available for $15 on Friday, $20 on Saturday, $25 on Sunday, or $45 for the entire weekend. Single-day cash parking will also be available for purchase day-of at the lot while space remains in Lot F and Lot T. Cash parking will cost more in person than single-day parking purchased in advance online and is available for $20 on Friday, $25 on Saturday, and $30 on Sunday. Get your parking pass now to save. COTA has complimentary shuttles to help guests get to areas that are fan-favorites, and for-hire pedicabs are available from parking lots to entry points. Getting dropped off and picked up? All of these arrival and departure options will use Piland Triangle off Highway 812, located beside Lot A. Please see the below map for precise location. A walking path and cutout in the gate to Lot A will allow you to easily enter Lot A and head to the venue entrance outside the Main Grandstand or catch a shuttle to the Grand Plaza. Catch a safe ride to the IndyCar Classic with Uber. Enter promo code RIDE2COTA for $20 off your first ride. Click the image below to enlarge and view the entire map. It’s a large file and may take time to load. Download the COTA App to have a GPS map in the palm of your hand throughout the weekend to help you navigate COTA. Download the COTA App for iPhone or Android for the most up-to-date event schedule throughout the weekend, or view it online. Get closer to the action than ever before. Racing Electronics are bringing their SC230 scanners for rental, giving you access to uncensored communications from every team and driver in the race as well as network radio broadcast and IndyCar official communications. Follow this link to book yours in advance or swing by one of their displays in the Main Grandstand and Grand Plaza to rent yours for the entire weekend! Download the COTA App to easily find all the entertainment activities and food options close to you on the map. On Friday of the IndyCar Classic, all guests are welcome into the pits where you'll get an up close look at the INDYCAR teams and drivers as they fine-tune their machines for the race weekend. The Pit Lane Walk takes place from 5:30PM to 6:30PM. 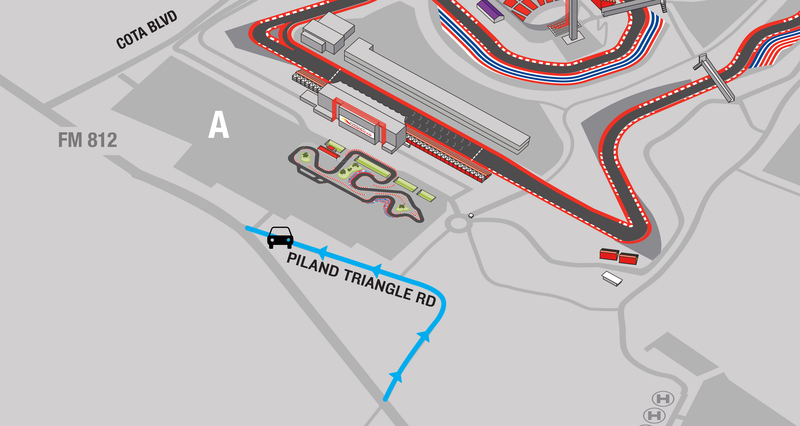 Guests will enter the Pit Lane walk from the Pit Out Gate, marked with a red star on this map and located right next to the Medical Center and helipad on the eastern side of the paddock. This area does not require a Paddock Pass for entry. Take a spin around all of COTA's twenty turns in a beastly Audi R8 V10 Plus with a professional driver behind the wheel. Audi Hot Laps are available on Friday and Saturday for $99 per session. Please note: hot lap participants must be 21+ years old. Get ready to meet your heroes. INDYCAR and Circuit of The Americas present the driver autograph schedule for the IndyCar Classic! All autograph sessions will take place at the INDYCAR Fan Village, located in the Grand Plaza. Autographs will be distributed by each series on a first-come, first-signed basis as guests queue in an orderly line and move through the autograph tent with the drivers. Please note: the driver autograph sessions schedule is subject to change. Check the COTA App for the most-up-to-date schedule. Take in one of the most breathtaking views in motorsports from 251 feet above the IndyCar Classic. Tickets are available at the base of the Tower, $20 for adults and $15 for seniors, military, and kids. Please note: operating hours and closures are subject to change without notice. Come and race it! COTA Karting is open from 9AM to 11PM on Saturday & Sunday, 9AM to 7PM on Sunday exclusively for IndyCar Classic ticketholders. Book in your track time in advance at cotakarting.com, or check availability in person at the COTA Karting Store outside the Main Grandstand. Please arrive an hour prior to your scheduled karting session to secure your seat. No refunds will be issued for missed sessions. 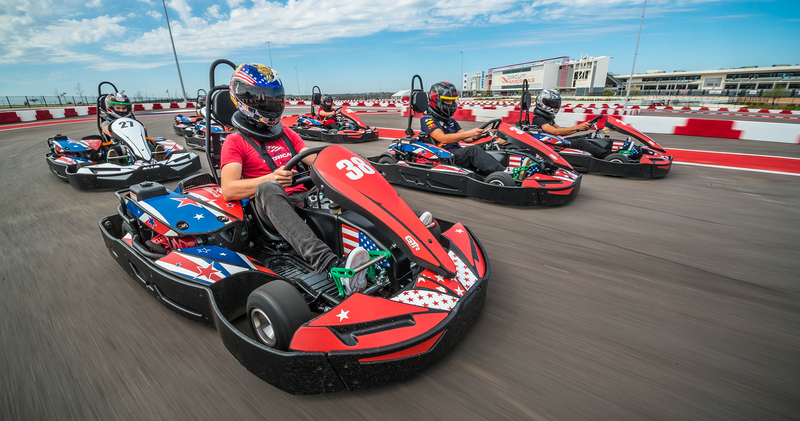 In the event your session is cancelled due to weather, COTA Karting will issue a refund to your original method of purchase within 4-5 business days. Experience the IndyCar Classic with a true bird's eye view when you soar high above COTA on our new zip line! Visit the East side of the Main Grandstand from 9AM to 11PM on Friday and Saturday and 9AM to 7PM on Sunday to take flight. Tickets are $15 a person. If your kiddos are under 58", there's a track for that! Take them over to the Kiddie Karting track on the east side of the Main Grandstand to give them a taste of speed for $15 a race. Celebrate on the starting line with your champions! After the checkered flag flies on Sunday, fans will be invited onto the grid for the podium ceremony and to walk the track. Fan Track Invasion entry points: Turn 19, Main Grandstand East, Main Grandstand West, Turn 1. Featuring drivers as young as five years old throttling around a 1/20 mile banked oval, USAC .25 Midgets is a fast-paced development series for young racers. Check out the heats and mains in Lot H from 9:00AM to 6:00PM on Saturday and Sunday, open to all guests. Show off your Maui Jim Sunglasses in an interactive photo booth to share with 'Ohana. Don't have any? Purchase a pair in the Grand Plaza from Maui Jim's diverse collection. Need to refuel during race weekend? Pizza Hut's pit crew can help! Just visit any Pizza Hut concession around the track, and while you’re there, don’t forget to text “PIZZA” to 646-00 for a chance to win a Hot Lap Experience. Get behind the wheel of a 2019 Mazda MX-5, CX-5 Turbo, or Mazda3 and feel alive with a special ride and drive experience - just stop by the Grand Plaza to sign up! This is your one-stop-shop for all things INDYCAR. The Vendor Marketplace features vendors with a variety of products and services just for INDYCAR fans, alongside some fun activations like Skydive Spaceland San Marcos. AutoNation’s Give Love Drive Pink Shasta makes a pit stop at the INDYCAR Classic with corn-hole, “pink-nik” tables, giveaways, an interactive photo booth and gif booth inside. Step inside the Cooper Tires trailer in the Grand Plaza for some interactive activities, premium giveaways and to learn more about the tires used by Indy Lights drivers on the track. On Saturday night, arena rock superstars Muse bring their electric live show to the IndyCar Classic with a full concert at COTA's Austin360 Amphitheater, nestled right under the Tower. Austin360 Amphitheater opens at 5:30PM, and the show begins at 7:30PM. Times are subject to change without notice. 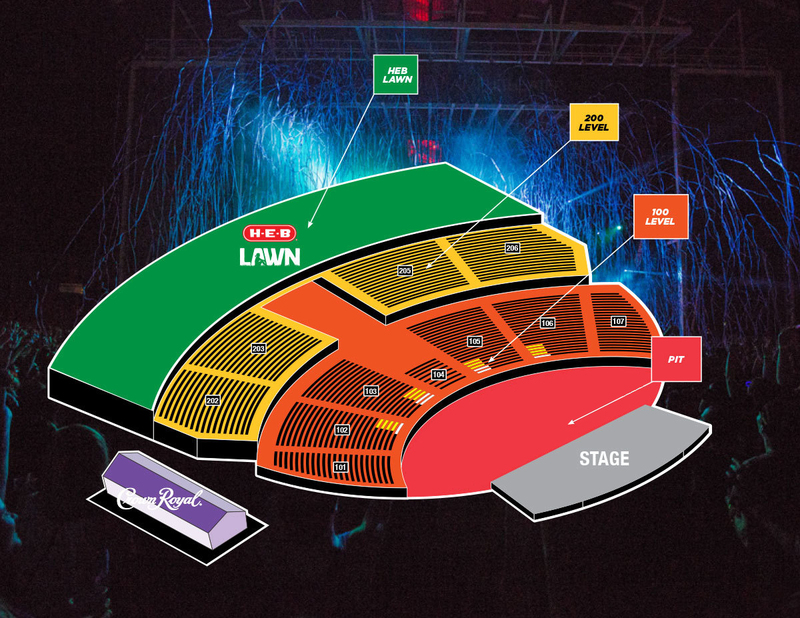 If you did not purchase a Muse upgrade, you will have first-come, first-served access to the 200 Level of Austin360 Amphitheater and the H-E-B Lawn. You must visit the Concert Wristband Pick-Up Tent prior to entering the amphitheater to receive a wristband for the concert. If you purchased a 100 Level Seat Upgrade, you will still need a concert wristband to access the amphitheater. After you have claimed wristband, please have your 100 Level Seat Upgrade tickets ready to display to attendants when you approach your seats. That ticket will list your specific seat location. If you purchased a Standing Room Upgrade to the pit of Austin360 Amphitheater, you will receive your pit wristband when you go to the Concert Wristband Pick-Up Tent in the Grand Plaza. Please show your Muse Pit upgrade ticket at time of redemption. If you purchased access to the Crown Royal Tent for Saturday, you will receive your Crown Royal credential upon entry to the tent. This will allow you to access the Crown Royal Tent and bar all day and enjoy the full Muse concert from the stunning view of the Crown Royal Tent. To ensure great views and adhere to standard concert policies, no chairs, blankets or detachable lens cameras will be allowed within the amphitheater. Please return any of these items to your car prior to Muse showtime if you have them with you for the race. All COTA Shuttles around the Circuit are accessible. If you are not near the Austin360 Amphitheater, please get on the shuttle nearest you if you need assistance moving around the facility to the Grand Plaza where Austin360 Amphitheater is located. If you are unsure where the closest shuttle stop is, please ask the nearest staff member. If you require ADA seating at the concert, please let the staff know when you pick up your concert wristband at the Redemption Tent. Featuring local legends and exciting up-and-comers, the Lone Star Stage serves up Austin's musical heritage throughout all three days of the IndyCar Classic. All guests are welcome at these performances, no credential or wristband necessary. Get to know all the talented artists you'll see on the Lone Star Stage with our Classic Tracks playlist. Limited grandstand and bleacher ticket upgrades are available to enjoy the on-track activity from an elevated seat. To upgrade your experience, head to the Box Office prior to entering COTA when you arrive or visit a COTA Sales Tent in the Grand Plaza. If you'd like to live the suite life for one day or more, upgrade your INDYCAR experience to the Turn 12 Suite starting at just $275. Take your car for a drive on the track during the weekend for just $60 and get a unique taste of what the drivers see while they compete. Laps are available on Friday, Saturday and Sunday while space remains. Follow this link to snag a Parade Lap. Check-in for parade laps is in Lot D and begins at 4PM on Friday and Saturday, 6:30AM on Sunday. Please be in Lot D and in your vehicle no later than ten minutes before your scheduled lap time. Get closer to the stage during the Muse concert with an upgrade to the standing pit or the 100-level seated section. Swing by the Box Office when you arrive at COTA, or visit the Concert Upgrade/Wristband Redemption Tent in the Grand Plaza to experience Muse from some of the best areas in the house. Download the COTA App to easily find all food locations on a GPS map, look at menus and discover foods that fit your dietary preferences. Our guests' safety is of the utmost importance. All guests will be screened by security upon entry. Please provide ample travel time and allot venue entry time when planning your schedule for the weekend. Cameras with detachable lenses and point-and-shoot cameras are permitted at the IndyCar Classic, however any stabilizing equipment such as bipods and tripods will not be allowed. For the Muse concert on Saturday night, detachable lens cameras will be not be allowed within the amphitheater. Please return these items to your vehicle prior to Muse showtime if you have them with you for the race and plan to attend the concert. Please adhere to safety guidelines and leave all prohibited items at home. Note: sealed, individual, plastic bottles of water are allowed – one per person. Complimentary water refill stations are located throughout the Circuit. Professional video cameras, audio recording devices and tripods; no video recording will be allowed. Circuit of The Americas is a rain or shine venue, and INDYCAR races in the rain. However, the safety of our guests is paramount, and in the event of severe or inclement weather, there may be changes to the event schedule. Any changes will be posted via social media and updated online and within the COTA App as soon as they've been determined. You can also check your nearest video board for up-to-the-moment information. If immediate action is required to move guests to safety, announcements will be made via our public address system and video boards, and our staff will assist with directions to shelter. Remember, COTA allows ponchos and personal-sized umbrellas through the gates. Providing a world-class experience to all is paramount to Circuit of The Americas. We recognize the diverse needs of thousands of our guests and are here to support all guests’ experiences by providing a range of accommodations to ensure all our guests create wonderful memories to last a lifetime. 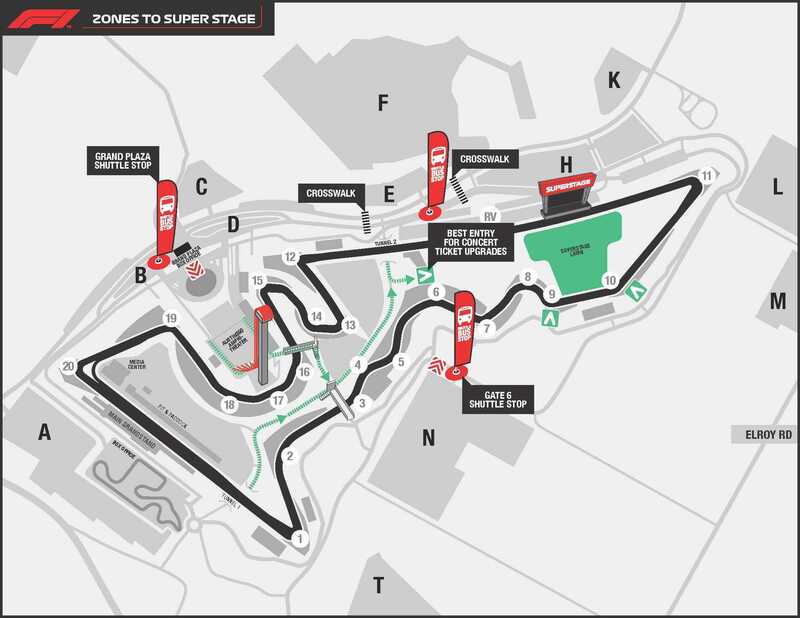 Circuit of The Americas is an accessible, but large, venue. Guests should be prepared for traversing long distances and anticipate using our transportation network for additional mobility support. We encourage all guests to dress for success: we suggest comfortable shoes, clothing, hat and whatever supportive devices you may need. For guests who find the distances challenging, we have numerous seats and picnic tables located around the circuit to take a break. They can be accessed easily by those persons using walking aids such as crutches, sticks or walkers. This event will be particularly busy, and guests may want to bring fold up chairs or alternatives to mobility just in case. Please note: personal chairs will not be permitted in the reserved seating areas. Please head to our ADA Accessibility page for specific information to help you plan ahead and have a wonderful time at COTA. While at COTA, please visit any of our Guest Services Tents if you need assistance or have questions. Our Guest Services team is here to help. Guest Services Tents are located at the Main Grandstand, Turn 1, Grand Plaza and Turn 3. If you need assistance at any point while you're at Circuit of The Americas, swing by a Guest Services Tent (view map for locations, or check the COTA App). We're here to help you have a great time and answer your questions! If you aren't near a Guest Services Tent, send us a text at 69050 with "COTA" followed by your request or question. If it's a location-based inquiry, please also include your location. Guest Services Tents are located at the Main Grandstand, Turn 1, Grand Plaza and Turn 3. We look forward to sharing INDYCAR's big Austin debut with you, and welcome you to share your experience with us on social media throughout the weekend with #COTA.